Next year will be the fifth time in a row that Social Security disability benefits receive only marginal increases. This year did not experience any increase at all. The hike next year will be small because inflation is low this year. On Tuesday, October 18, the federal government informed the public of the cost-of-living adjustment, or COLA. The adjustment affects more than 70 million individuals or around one in five Americans. Unfortunately, the announced COLA will translate into an equivalent of less than $4 of increase to monthly Social Security benefits, which average $1,238. However, Medicare Part B premiums, which usually come straight from Social Security payments, are set to rise next year and will likely wipe out the entire COLA increase. Under the law, the dollar increase in Medicare’s part B premium cannot be higher than a beneficiary’s cost-of-living raise. 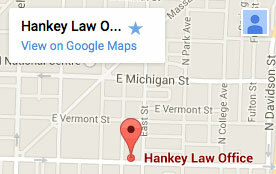 Our Social Security disability lawyers at the Hankey Law Office provide legal services for our clients in Indianapolis and other areas in Indiana, and we help clients file for or appeal claims for federal disability benefits. Seek our legal assistance by calling our offices at (800) 520-3633 today. Almost 1.4 million individuals applied for Social Security Disability Insurance (SSDI) benefits between January and July of 2016. These are complicated, time consuming applications, and many people are denied coverage. However, there are some things you can do to improve your chances of having an SSDI application approved by the Social Security Administration (SSA). First and foremost, SSDI applicants need to understand which benefits they are eligible for in the first place. You are almost certain to have an application for SSDI beneifts for which you do not qualify denied outright. Understand that the process of securing these kinds of benefits is lengthy and time-consuming. The SSA is incredibly strict about who it awards benefits to and works hard to make sure it isn’t giving benefits to people who do not truly need them. Lastly, it is essential to file a claim with the help of a legal representative. Having help from someone who is well-versed in the application process can reduce your chances of having your application denied. At the Hankey Law Office, we are aware that the filing for Social Security Disability Insurance benefits can be a complex and time-consuming process, which usually presents the claimant numerous complications along the way. Therefore, it is important for a claimant to undergo this process with the help of an esteemed disability attorney by their side. Call our Indianapolis offices today at (800) 520-3633. Two studies, one written by the Center for Economic and Policy Research more than 10 years ago, and the other published by the progressive Center for Global Policy Solutions this July, have one thing in common. Both reveal that, except in the very poorest households, among low-income families, there are more children in households who benefit from a Social Security check monthly than a check from anti-poverty programs. Included in this number are those who receive Temporary Assistance to Needy Families (TANF) or Supplemental Security Income benefits. According to the paper written by economist Heather Marie Boushey in 2003, 8.6% of children in households earning less than 200% of the federal poverty line were living with someone receiving TANF. 11.9% of children were living with someone receiving Social Security. Meanwhile, the 2016 study showed that 6.4 million children, or 8.7% of all children in the United States, benefited from Social Security in 2014. That marks an increase from 5.4 million (7.3%) in 2003. The process of filing for and appealing Social Security disability benefits is often complicated and a tedious task for someone who is recovering from a serious long-term injury or illness. If you are struggling with your Social Security disability benefits, you can turn to the attorneys at the Hankey Law Office in Indianapolis for help by calling our offices today at (317) 634-8565 or (800) 520-3633. Republicans in Congress are pushing an appropriations bill that Social Security Administration (SSA) officials say will lead to budget deficits for the agency. Applying for Social Security disability benefits can be a difficult task, especially for someone recuperating from a debilitating disability. Get in touch with our Indiana Social Security disability lawyers at the Hankey Law Office by calling today at (317) 634-8565 or (800) 520-3633 to discuss your case with us.